I mentioned a couple of days ago that I’m pretty useless at lunch, often forgetting to eat something. I’m self-employed and work from home, so quite often I just work through and stepping away from my desk can be hard to do. I’m making it a priority to start taking a lunch break and to come up with healthy lunch ideas! A very easy lunch is a baked potato with some sort of topping. I love sweet potatoes, and if you’ve never tried a baked sweet potato, I highly recommend them. They are full of vitamins and minerals, and have less carbs (if you worry about that sort of thing) than a regular potato. They also release their sugars slowly, so keep you fuller longer. 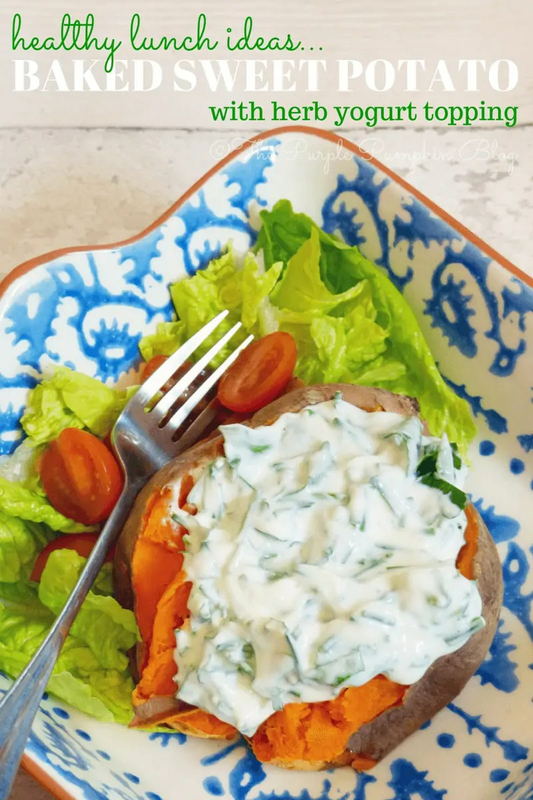 A favourite topping for baked potatoes is sour cream and chives, but since I try to eat as healthily as I can, I thought I’d switch the sour cream for a 0% Greek yoghurt and make a herb topping instead. With a salad on the side, it made a very tasty and filling lunch, I hope you give it the thumbs up like I did! The topping can be made to your taste, depending on how much you enjoy fresh herbs! Wash the potato and prick all over with a fork. Cook in the microwave on high for 4-5 minutes until cooked through. (Alternatively, bake in the oven for 45-60 minutes). Make the topping by mixing together the yogurt, herbs and garlic salt - all to taste. 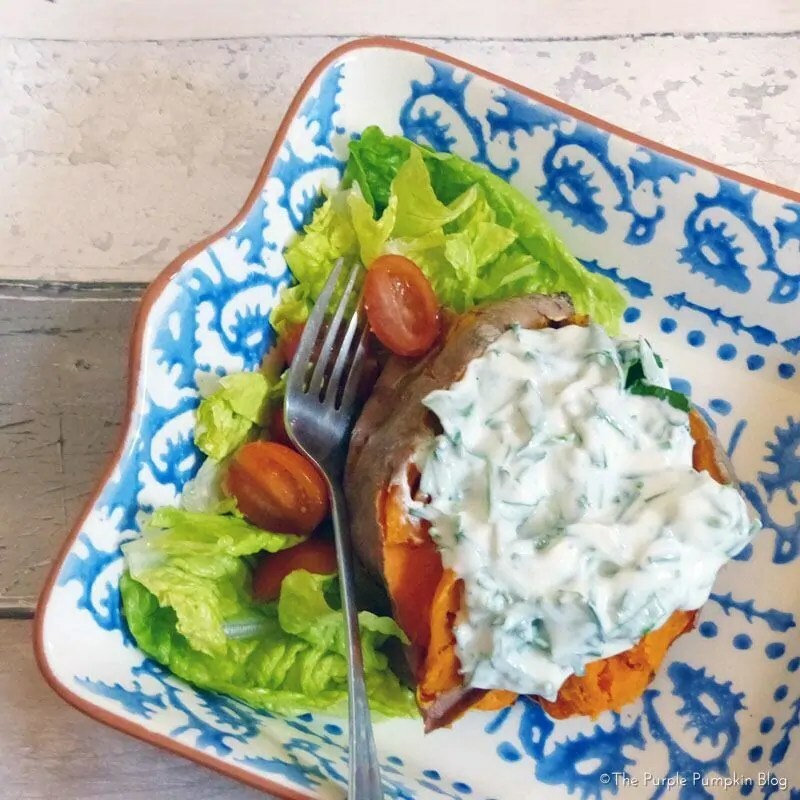 Split the baked sweet potato and spoon over the herb yogurt topping. Sounds good to me! I haven’t eaten cottage cheese for years!